Circulate SD held a party last night to launch their latest weapon in the battle for safe streets: Captain VZ, for “Vision Zero.” She’s the star of a new comic book, developed to support local educational efforts for school children—or anyone who loves comic books. Safe Routes to Schools programs—usually aimed at younger students—are sometimes the only traffic education that California students get. 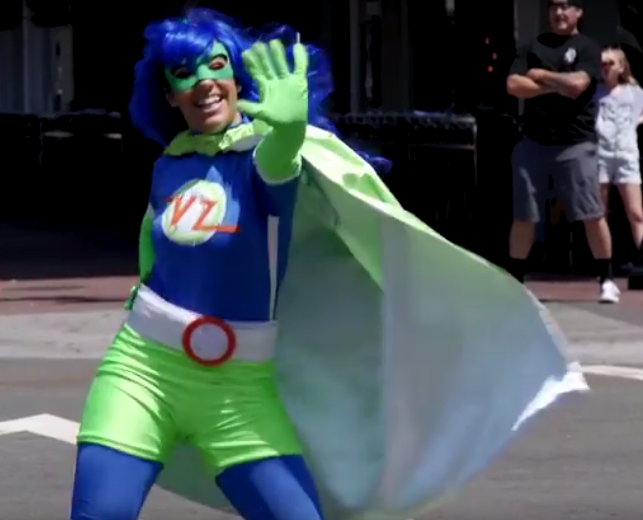 Circulate SD supports Safe Routes to Schools programming, and a few years ago developed the super hero Captain VZ to help make the program fun and exciting—as well as to explain the basics of Vision Zero, which for San Diego means no traffic deaths by 2025. 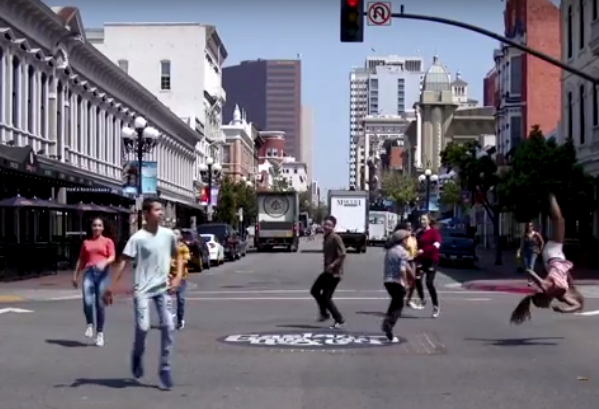 They would send Captain VZ out to schools to talk to students, and developed a dance video to remind drivers to watch for pedestrians. 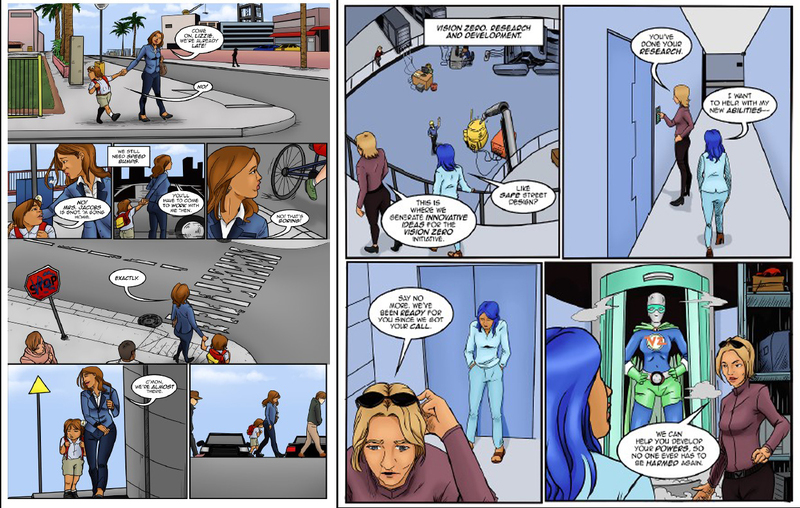 Grants from Kaiser Foundation Hospitals and the California Office of Traffic Safety gave them the opportunity to produce this comic book, which will be distributed to kids through Safe Routes to Schools programs throughout the region. Colin Parent, Executive Director of Circulate SD, says that the group is working on encouraging more jurisdictions to do Safe Routes programming. “Our hope is this grant will bring in other funders that want to help with that kind of education in school districts,” he added. Circulate SD was named Nonprofit of the Year earlier this summer by Assemblymember Lorena Gonzalez (D-San Diego), and not just for Safe Routes to Schools. The group also works on improving and increasing crosswalks, making transit better, encouraging development of affordable housing, and increasing equity in community planning, among other efforts. It certainly doesn’t hurt that they have some fun in the process.